Mr Speaker, I am informing the House today by way of Ministry Paper #___ of the decision by the Ministry of Education, supported by Cabinet, to close eighteen (18) schools with small populations ranging from a low of sixteen (16) to a maximum of sixty eight (68) students. The closure of the schools will take effect in September 2015 and is intended to achieve greater levels of efficiencies in the school system. The eighteen (18) institutions to be closed in September are among more than hundred (200) public schools offering primary level education (primary, all age, primary and junior high schools). They are all under-utilised, with enrolment of one hundred (100) students or less. In most cases enrolment has declined steadily during the five- year period 2010-2014. In some communities where the schools are located the population has been declining, with a small number of youth and many older persons as residents. This has negatively impacted the operational cost for these institutions. While the average per capita expenditure at primary level schools amounts to approximately J$88,000, in many of these small schools, it is costing up to twice as much to operate them. Nearly all of the eighteen schools targeted for imminent closure have performed below or at about the national average in the 2014 Grade Six Achievement Test. Most of have performed significantly below the national average of 77.2% in the 2014 Grade Four Literacy Test. This academic performance is despite the fact that the teacher pupil ratio is less than one to 20 in most of the schools; the ratio is as low as one to seven in several instances. Establishing a boarding facility from the best infrastructure among the schools identified for closure to facilitate students in remote rural areas where the use of virtual education and the introduction of a TVET facility are not feasible. 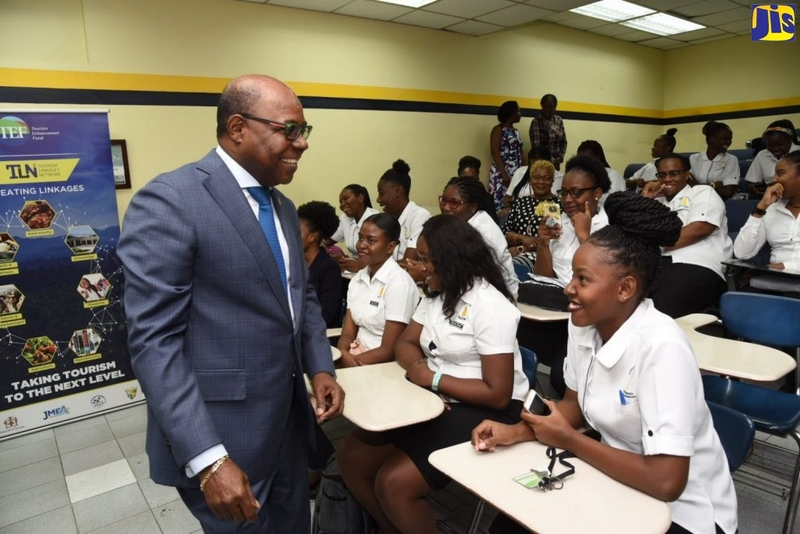 It must be noted that the process of closing these schools involved extensive public consultations with stakeholders –including parents, the JTA, churches, community leaders and political representatives. The team from the Ministry of Education has been very responsive to concerns raised. However, in the final analysis, we have to make a decision in the interest of student achievement and the efficient use of financial resources. The Ministry of Education assures parents that where the relocation of students has resulted in transportation needs we will contract transport operators to ensure their children can get to school and back home. The estimated total cost for transportation is J$106,000.00 daily, with an estimated annual cost of J$20M. Permanent staff at the school to be closed will be facilitated for employment through the relevant authorities and unions. Through the necessary consultations and agreement with affected parties, teachers will either be relocated under the voluntary relocation exercise, retired or be asked to opt for early retirement. The projected saving from the planned school closure is $23 million in operational costs. The Ministry of Education will decide on the options available regarding the closed facility in keeping with government regulations. Mr Speaker, the students from these schools have been transferred to others where they can access a richer and more diverse learning experience. In order to ensure a smooth transition on the ground, the Ministry of Education’s regional staff will be working closely with the receiving schools. We encourage parents and school personnel to assist the students as they go through a period of change. We are confident this can be a positive move for the children in attaining their education. The Ministry of Education takes this opportunity express appreciation to all the stakeholders who cooperated and assisted during the process of consultation and decision making.